As we often say, we provide large firm work quality with small firm attention and cost sensitivity. Our attorneys are talented and experienced trial lawyers, litigators, appellate lawyers and transactional and estate specialists. Our commitment to excellence has resulted in superior results for our clients in settlements, verdicts, transactions and all other areas of representation. Our partners each concentrate on a specific area of our practice to ensure that you get the most experienced attorney for your needs. However, the diversity of our practice also allows us the ability to think outside the box and find creative solutions for our client's problems. Being a construction worker is one of the most dangerous occupations. When you're on the job, you expect the equipment to function properly and the workplace to run smoothly. An injury on the jobfalling off a ladder, tripping over debris, falling off a scaffoldcan be a serious setback. 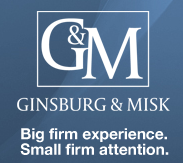 If you've been injured on the job, the law firm of Ginsburg & Misk can guide you through the legal process. We worry about the legal work so you can concentrate on getting better. Not surprisingly, car crashes are the most common of New York accidents. The attorneys of Ginsburg & Misk are experienced car accident lawyers who have helped many injured people get the compensation they need. Unfortunately, if you don't file the right papers within 30-90 days, you could lose your chance to recover. The insurance companies like it that way. They hire attorneys and claims adjusters to pay out as little as possible. If you've been in an accident, you have no time to lose. Gerard Misk is a trial attorney with twenty years of experience handling all types of personal injury, products liability and medical malpractice cases. He handles all of our injured clients' cases from inception through trial and appeal if necessary. His personal attention to every matter is what sets him apart from other attorneys. Hal Ginsburg manages the firm's commercial and real estate litigation practice. He is an experienced litigator and trial attorney and has litigated cases involving all areas of commercial litigation, estate litigation, real estate litigation and corporate law for more than 25 years. Joseph Misk is our senior real estate attorney. Joseph specializes in residential and commercial transactional real estate, landlord/tenant matters, commercial leasing and creative financing solutions for real estate developers. He also handles the Probate of Estates in Surrogates Court. Joseph Gillette has been associated with Ginsburg & Misk for approximately eight years. He works with Joseph N. Misk in real estate transactional work and Mr. Ginsburg with his commercial and real estate litigation. Joseph also handles the firm's criminal practice and has successfully handled cases from DWI to Federal Court bank fraud matters and Commercial & Residential Landlord-Tenant matters.